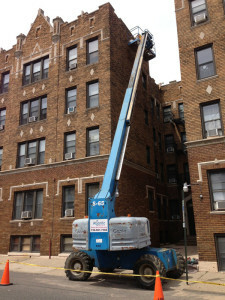 Façade & Exterior Building Maintenance | Adriatic Restoration Corp.
Masonry façade restoration involves the repair of existing masonry materials, on exterior building surfaces such as stucco façades, brick facades and stone facades. All facades require a certain degree of maintenance if they are to fulfill their intended life cycle. Early detection of defects and imperfections can reduce expensive repairs, or possible replacement of your building façade or exterior building maintenance. Adriatic Restoration provides an array of façade repair services, and utilizes the most innovated façade maintenance systems to be as safe and cost efficient as possible.